The Orkney News - Bringing you the alternative news in Orkney. 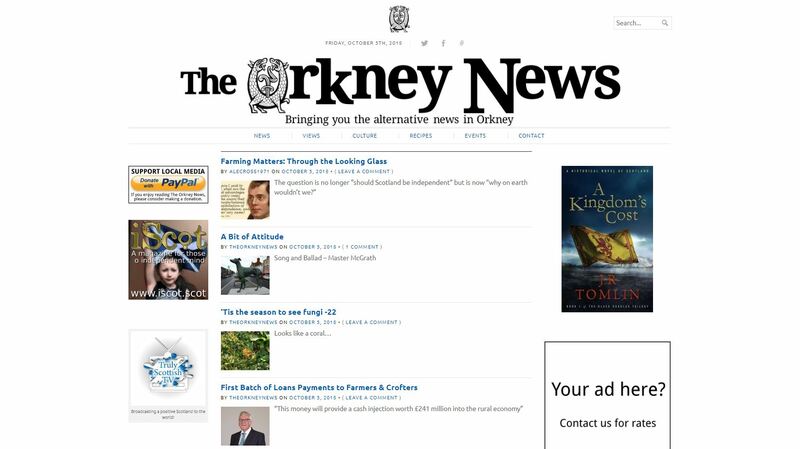 On the Orkney News website you can catch up on the local and national news that affects Orkney, along with other articles including editorials, opinion pieces and political stories. There's a section on Culture for information of art, music and literature events taking place in Orkney, and also a collection of recipies. For all your Orkney news, head over to their DotScot website to have a read!